I love hollyhocks. They are interesting flowers and attract so many different insects. They are like little hibiscus on a stick, like hibisicles. 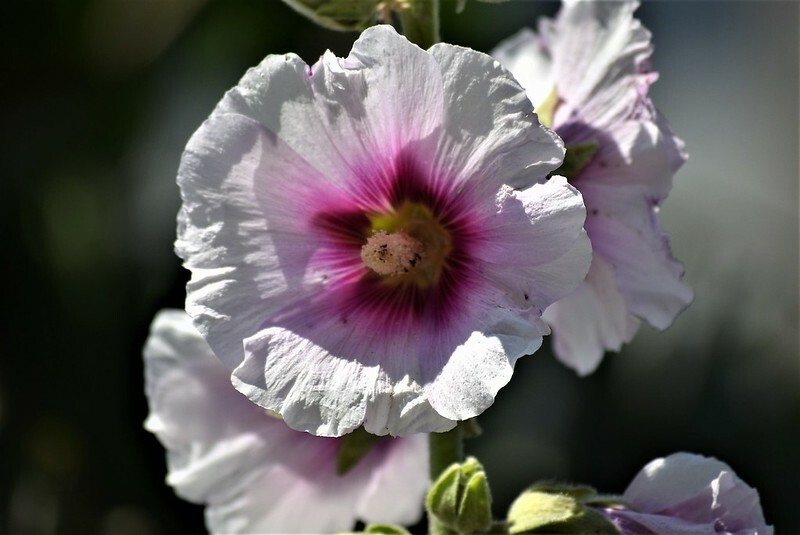 Oh yes, it is hollyhock. The flowers just look like little hibiscus flowers.